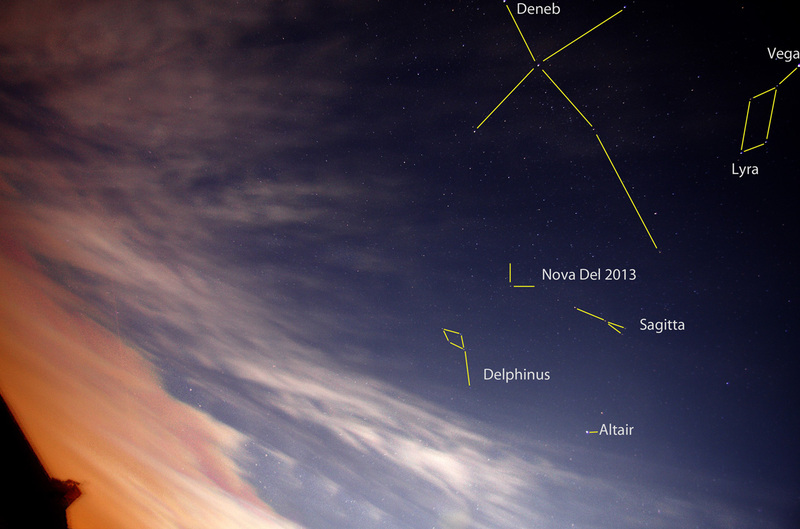 Chris Newsome took this picture of Nova Delphini 2013 on the 18th August 2013. A bright moon is just of of shot and the photo was taken with a Canon 40D camera using a 24mm lens at f/3.5, 13x30secs and 800ASA. It was calibrated in MaximDL and then processed in CS5. 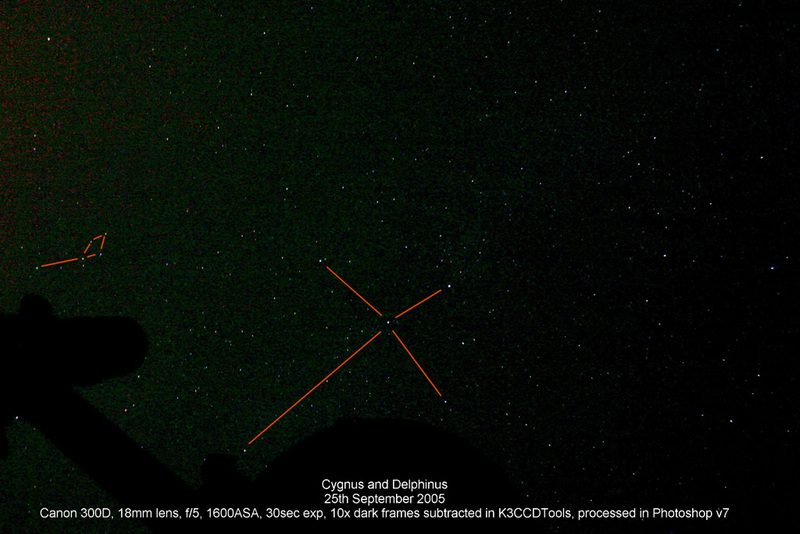 The small and diminutive constellation of Delphinus is towards the middle left edge of this image by Simon Allcock, taken on the 28th October 2009. 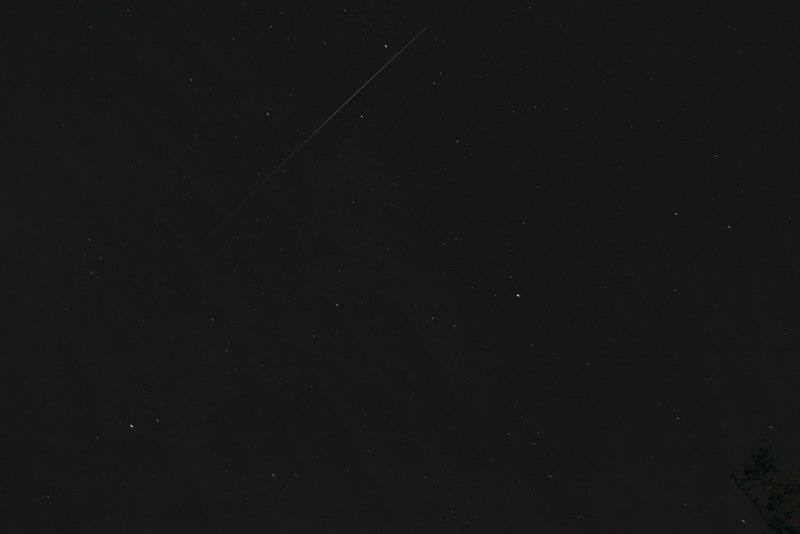 The picture also captures the trail of a satellite passing through Cygnus. The image also shows the Summer Triangle comprised of the stars Deneb in Cygnus (top), Altair in Aquila (lower left) and Vega in Lyra (mid right). The Keystone asterism of Hercules occupies the lower right corner of the picture. 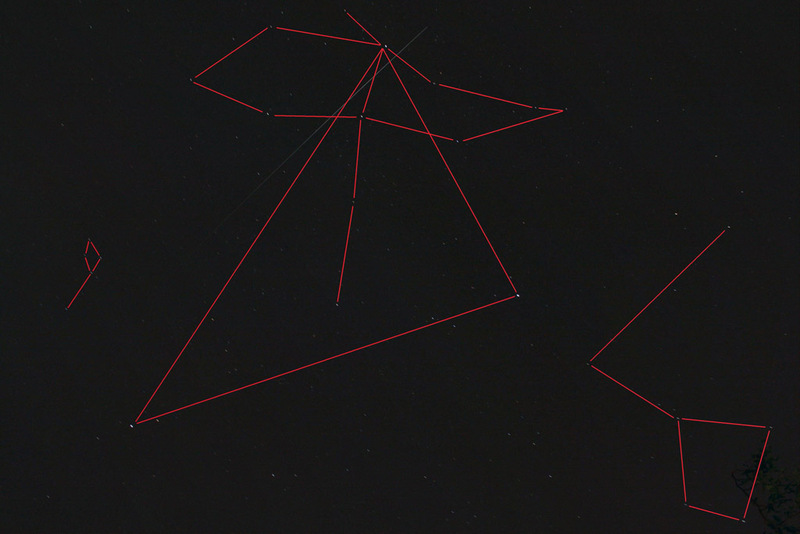 A second version of the image with these constellations outlined in red is also provided below this image. The following picture shows Delphinus (at left) and Cygnus (centre) and was taken by Chris Newsome on the 25th September 2005. Note the faint silhouette of Chris' telescope against the sky background in the lower part of the image.